When August Finn rises from the depths of the dark matter research facility where he works, he discovers that the human race has been turned to dust. For August, life becomes one grueling test after another as this man of science, unaccustomed to the natural world, must fight to survive, against the elements and against despair. Hanna Dearborn is alone. She’s the last person living on Earth, hidden away in her parent’s sophisticated bunker. She’s been alone for weeks and can no longer stand the solitude. Gun in hand, she intends to end her life. Then, he calls. 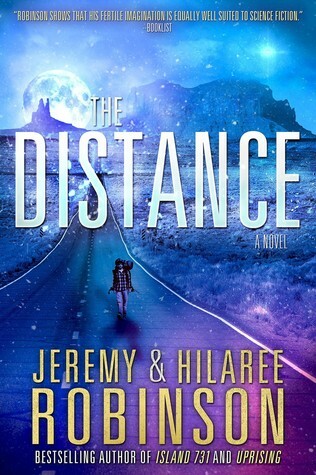 Unique among Robinson’s writing, this is first person from two protagonists, his wife Hilaree writing one of the characters. It does fall subject to one of the problems inherent in first person writing; long portions of inner monologue (the book is 119,000 words). Fortunately the story pushes things along as the two characters move closer together. The ending was a bit disappointing as it was not entirely clear what had happened any why. Still, as they say – It’s all about the journey.